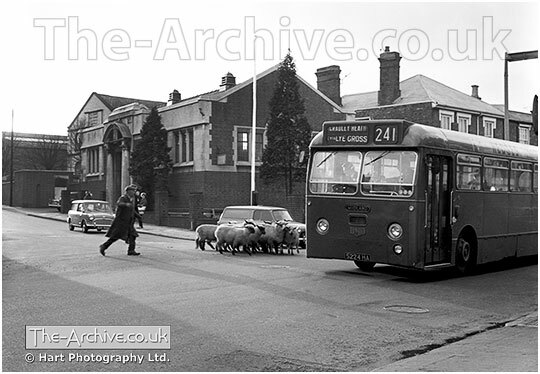 ﻿ Lye Library - Sheep in Lye - The Archive of Hart Photography Ltd.
A photograph of Lye Library. Featuring sheep & a Midland Red Bus. High Street, Lye, Stourbridge, West Midlands, Worcestershire. Photographer William R. Hart ABIPP. AMPA. ARPS.